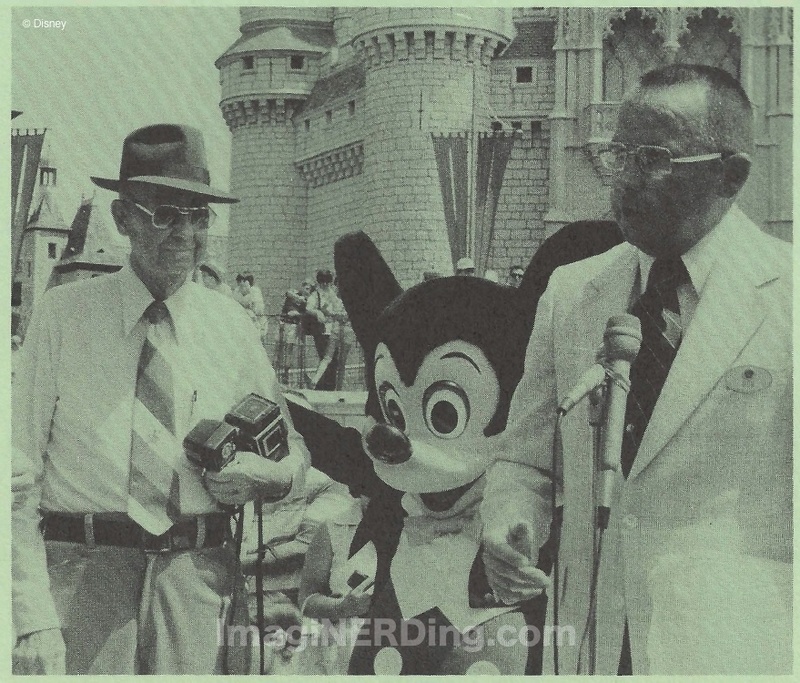 Millard Jones: Walt Disney World’s Biggest Fan! 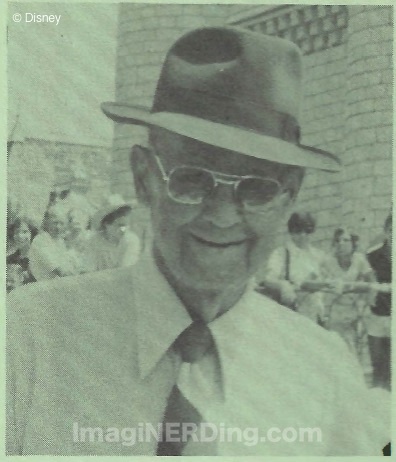 I covered Millard Jones previously, when he was awarded a lifetime pass to the Magic Kingdom. When Mr. Jones made his 500th visit on June 15, 1978, Eyes & Ears reported on the special ceremony held for Mr. Jones. I’d love to see his photo collection! Perhaps Walt Disney World’s biggest fan is 86-year-young Millard C. Jones of Lakeland who visited the Magic Kingdom for the 500th time June 15. Since his first visit here in December 1971, Mr. Jones, as he is known to the hundreds of employees who consider him a very specialfriend, has made Main Street, USA his second home. Until last year when a stroke slowed him down temporarily, Mr. Jones visited his friends at least three times a week. Even now he can be seen at least once a week on his regular routine, walking down Main Street carrying his twin-lens camera in his hand. Mr. Jones has thousands of pictures in boxes and in six big pho o albums as records of his many friends here at Walt Disney World. He takes pictures of all of us. Then on his next visit he makes the rounds with a pocketful of pictures as gifts. The result is a boxful of thank you notes from all over and many, many grateful friends. When Mr. Jones made his 500th visit many of those friends were on hand. Some took their lunch hours at 11 am to greet Mr. Jones as he traveled down Main Street in a special parade in his honor. Others, who work the third shift, stayed at work an extra three or four hours to be at Cinderella Castle when Bob Matheison presented Mr. Jones with a special plaque commemorating that 500th visit and a silver pass in hopes that he makes it one thousand visits! Yes, Mr. Jones is a very special guest to many of us. Have you ever seen any of the photographs of Millard Jones? This is just another example how different a vacation at Walt Disney World was in the 1970s. I wish there was a collection of some of the photos he took to go with this post! I would absolutely buy a book of his photos. I wonder what happened to them.